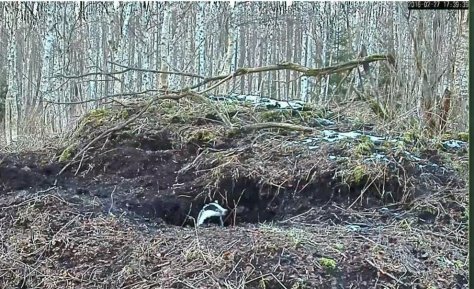 The doings of badgers could be followed in real time for the first time in Estonia in 2014, from mid-May until September. Last year we could watch the hard-working den inhabitants from the end of April until September. 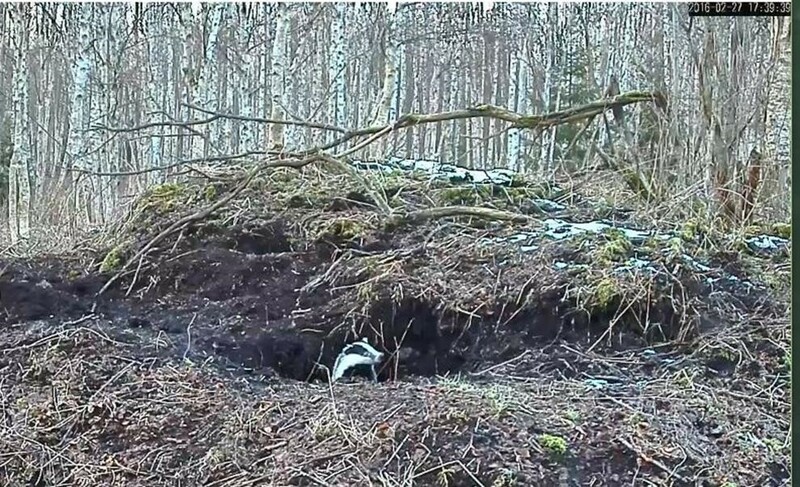 This year we started the badger camera already in February, to get an overview of the doings of the Animal of the Year during almost a whole year. We are used to knowing that badgers sleep in winter. They do, when it is cold, the ground frozen, and snowdrifts towering above the heads of the badgers. Such winter weather has been scarce this year and the sleep of the badgers has turned out short. In Harjumaa a badger trudged in thick snow in front of the castle opening already before the great thaw – on January 27th. From that day onwards the four-member badger family who lives in the castle has been busy in the trail camera view every night, in dense snowfall as well as in rain. The start is promising. We will see how life develops for the badger pair. Will the cubs this year finally stick out their noses from the den and grow into adults?